The AWV4 is a cost effective wall mount system which allows low profile mounting of Ethernet switches, Mixer Amplifiers or other rack mount electronics. This bracket style hardware kit offers 4RU mounting configuration and create flush mounting options for equipment vertically to walls or under desks and work spaces- when space and component needs do not facilitate the need for a full rack. The Atron series of Decorative Wallplates offers a wide variety of colours, styles, shapes, and finishes to suit any home dicor. Long lasting, easy to mount and maintain, and an inexpensive way to add fashion. The perfect plate is available for every taste. Stylish for enhancing your home dicor, finishing touches to match your Satin Nickel fixtures and accessories with this Satin Nickel Duplex style Switch plate. The Atron series of Decorative Wallplates offers a wide variety of colours, styles, shapes, and finishes to suit any home dicor. Long lasting, easy to mount and maintain, and an inexpensive way to add fashion. The perfect plate is available for every taste. 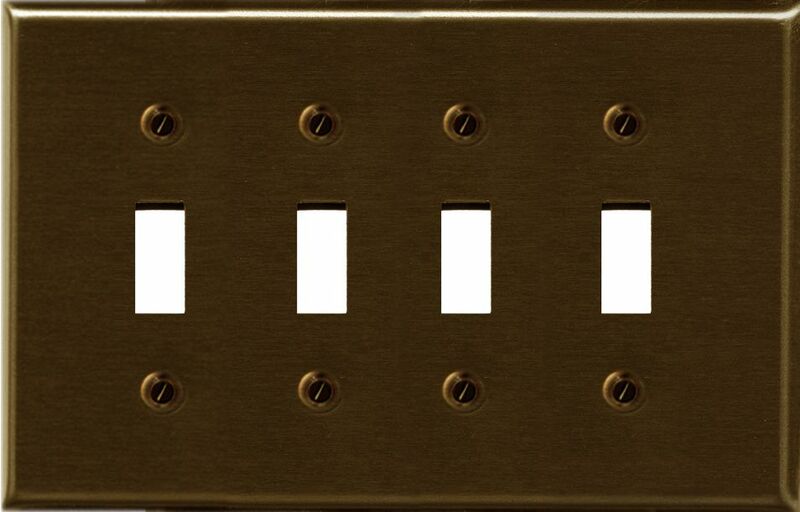 Give your room the Natural look with this Light Oak Duplex Style Switch plate.